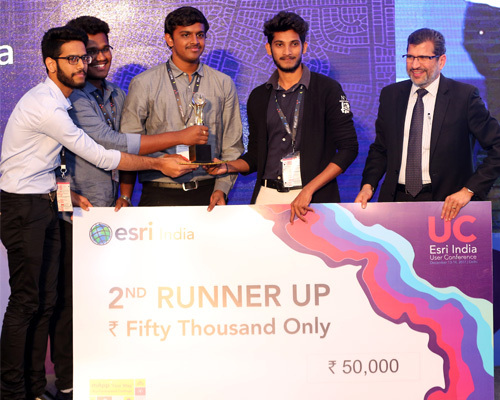 Esri India’s mApp Your Way contest is a wonderful platform for students to showcase their innovative ideas using GIS. We are very glad to be a part of this prestigious event and I thank Esri India for encouraging young talent. This project is our dream project and this is a lifetime achievement for us and I also thank technical team which is helpful and supportive during all phases of the contest. mApp Your Way was a wonderful learning opportunity, that allowed us to put the concepts we had learnt in class to practical use. We stumbled, but in doing so, learned more. Interacting with other teams and those involved in the industry was a novel experience which gave us further insights that are sure to help us in the future. Finally, the support and encouragement of the Esri India team was kept us going. 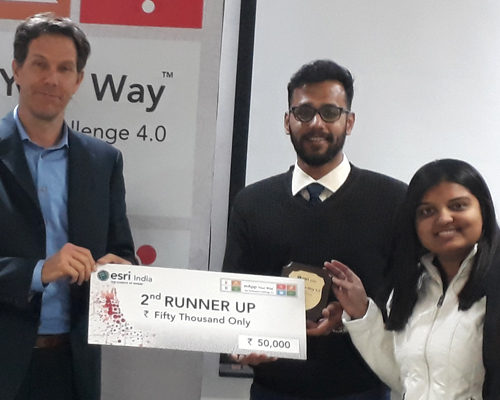 Esri India's mApp Your Way is a very prestigious platform for students and researchers to interact with the most elite work force in Geo spatial technology. The 4.0 experience was a complete package from conceptualization to final output of the app development. The thrill, the enthusiasm and the dedication to continuously develop on feedback received in each review made the competition really productive and a rare experience in one's academic career. 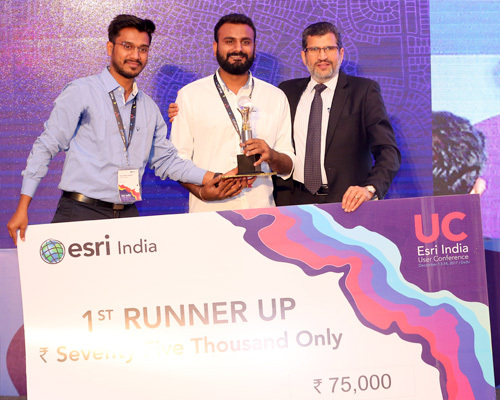 We, the Team SatLock, experiences a personal sense of gratefulness towards ESRI to provide us the experience of being a part of such a nation wide competition. 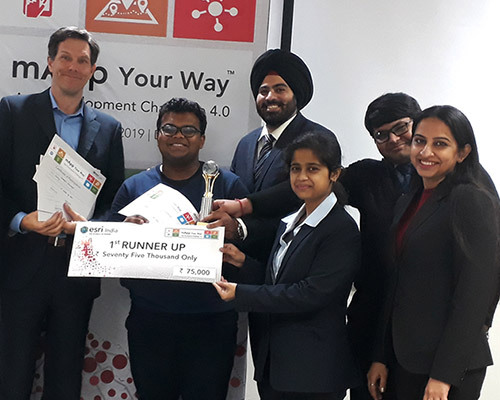 It was a great experience to participate in mApp Your Way App Development Challenge 3.0. The Esri India organizing team was very helpful, supportive and consists of experts with extraordinary talent. For me and my team, it was an experience of lifetime. 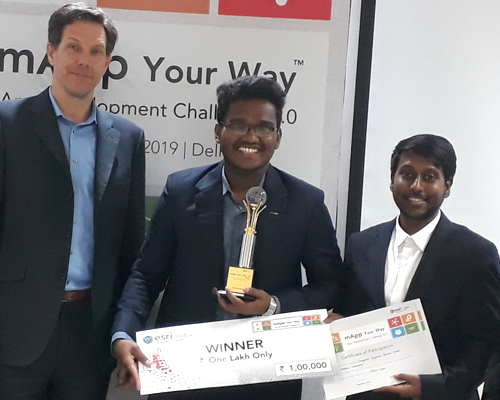 Mapp Your Way is a great initiative by ESRI, to bring together students from universities across the country and present their ideas and applications. The solutions provided by the students were quite innovative and enabled us to explore the enormous capabilities of geospatial technologies. The ESRI UC provided us an opportunity to network with GIS professionals from the industry and to get an insight to the latest technologies and its integration with GIS in various domains. Overall the experience and exposure gained from the ESRI UC was indeed amazing. Mapp your way is such a nice platform to showcase our ideas and our work. It fulfils the space of practical knowledge that lacks in our college curriculum and let us understand where we stand in this competitive world. 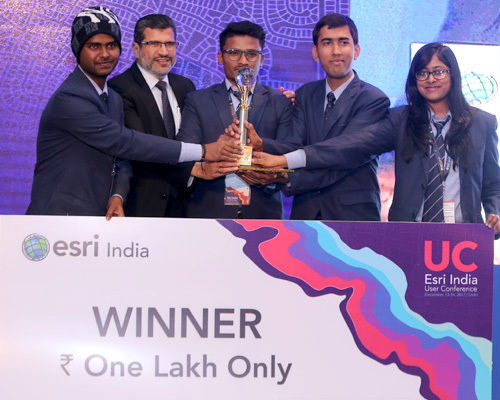 We sincerely thank ESRI INDIA for carrying out this competition and letting the youngsters like us believe in ourselves. The beauty of this competition is that it forces us to think about the problems around us and how we would find a solution for that problem. I guess this kind of approach towards the society is more important as an engineer than the subjects we learn.